A giant octopus playing catch, some oversized ice cream cones with scoops of sports balls, and several detailed and grand castles, appeared out of the sand this weekend at a local beach. 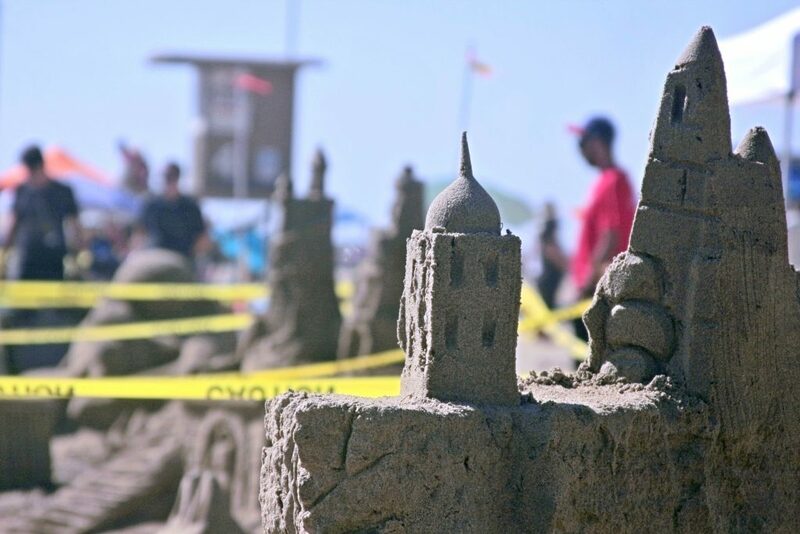 Thousands of people flocked to Newport Beach to watch the sand transform during the 57th Annual Sandcastle Contest, held Sunday at Corona del Mar State Beach. 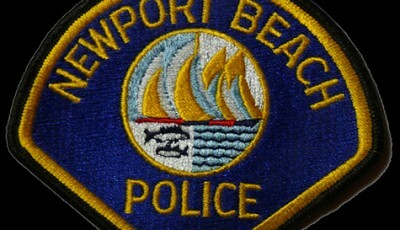 The event was presented by the Commodores Club of the Newport Beach Chamber of Commerce. The Commodores Award for Overall Best Creation went to the IB Possee Sandcarvers for their sculpture of a gigantic cat playing with a ball of yarn and a “Fumble!” sign. The Sandcrabs team won the People’s Choice Award for Best Creation with their sandy depiction of “Cinderella’s Ball,” complete with the princess herself sitting outside and a detailed castle, including a clock tower. Her missing sand slipper sat at the base of a long staircase. The Most Humorous Creation award went to Team Dixie for their sand recreation of their team’s namesake, Dixie the dog, who was on hand for the festivities. Team CHALK won first place in the junior division for their sphere-focused castle. In the Most Unique Sandcastle category, The Sandcrabs earned the top spot, team Sand & Deliver came in second, and Long Beach Ballers placed third. Sandcrabs Too came in second for Most Unique Sandsculpture, and the Commercial Fire Protection team placed third. 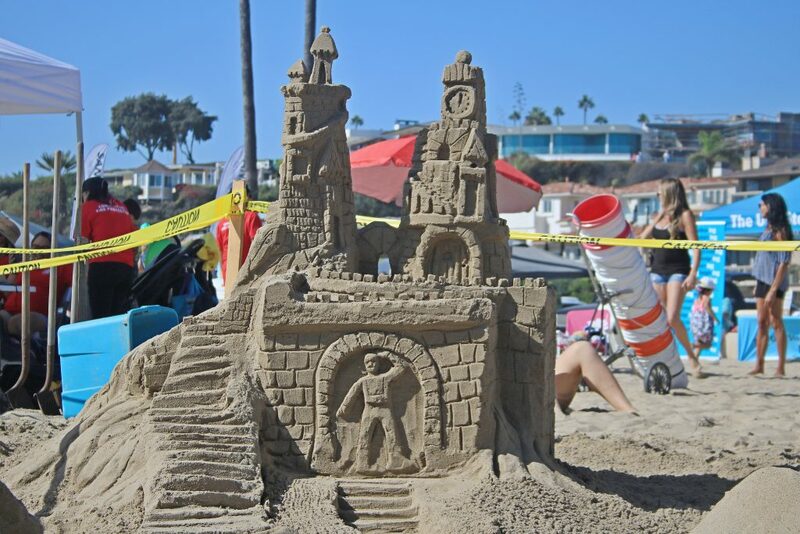 The 57th Annual Sandcastle Contest was held Sunday at Corona del Mar State Beach. 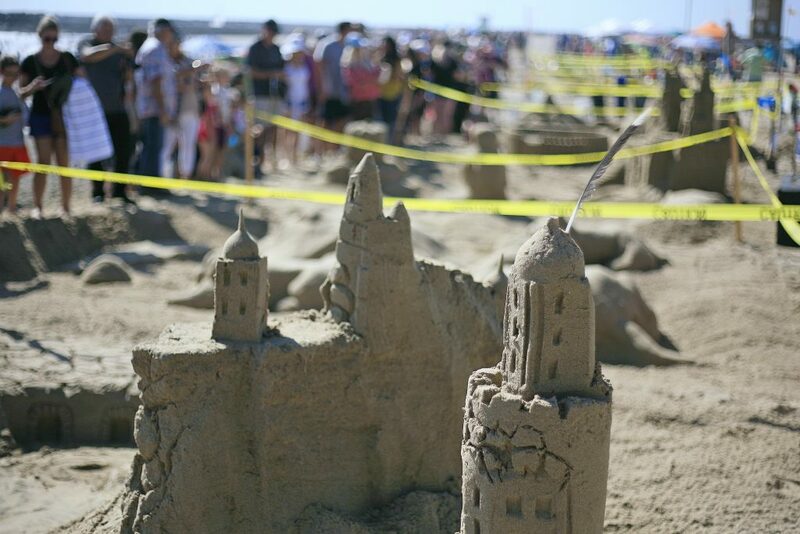 Thousands of people attended the 57th Annual Sandcastle Contest on Sunday at Corona del Mar State Beach. 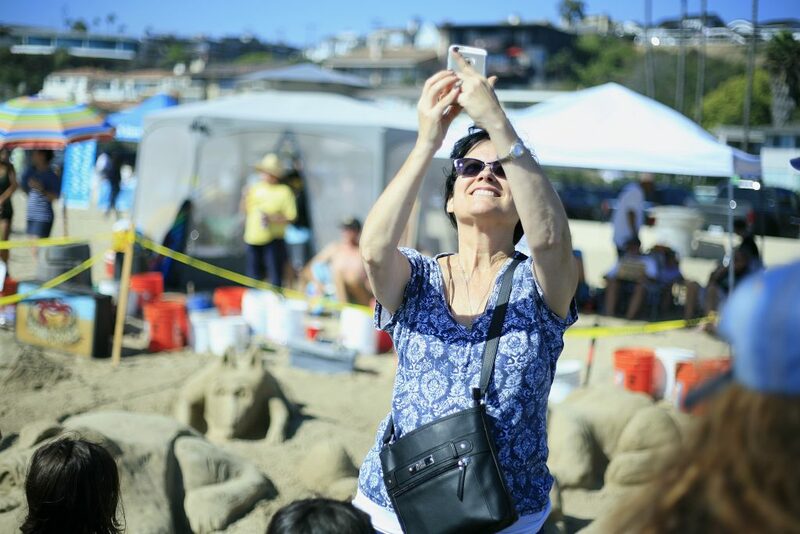 A spectator takes a selfie in front of one of the sand sculptures on Sunday. 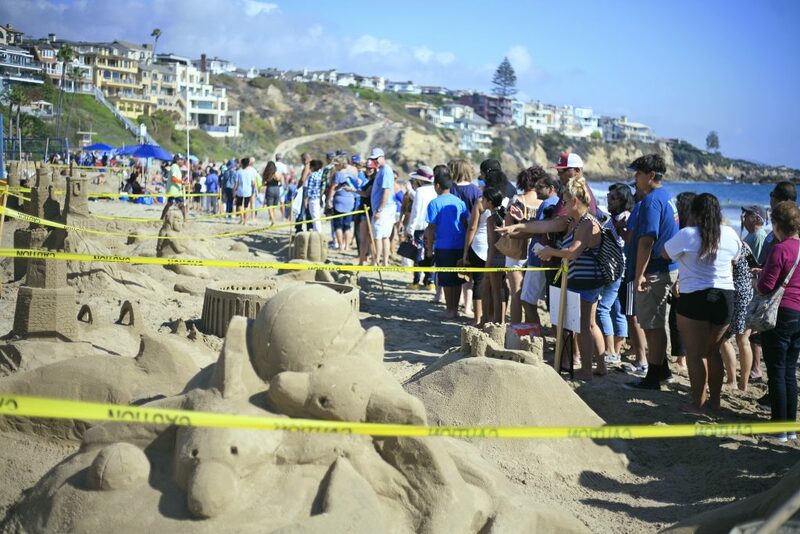 Sand sculptures are separated by yellow tape at the 57th Annual Sandcastle Contest on Sunday at Corona del Mar State Beach. 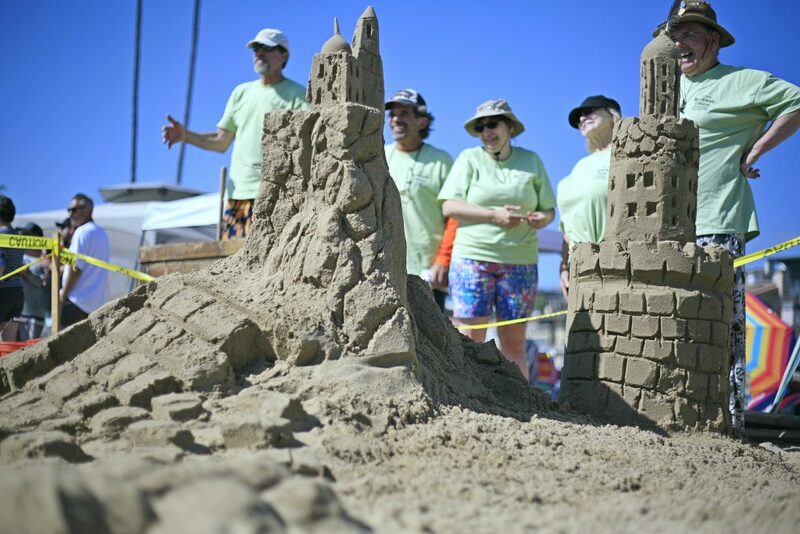 A team of sand sculptors cheer as the judges look over their creation on Sunday. 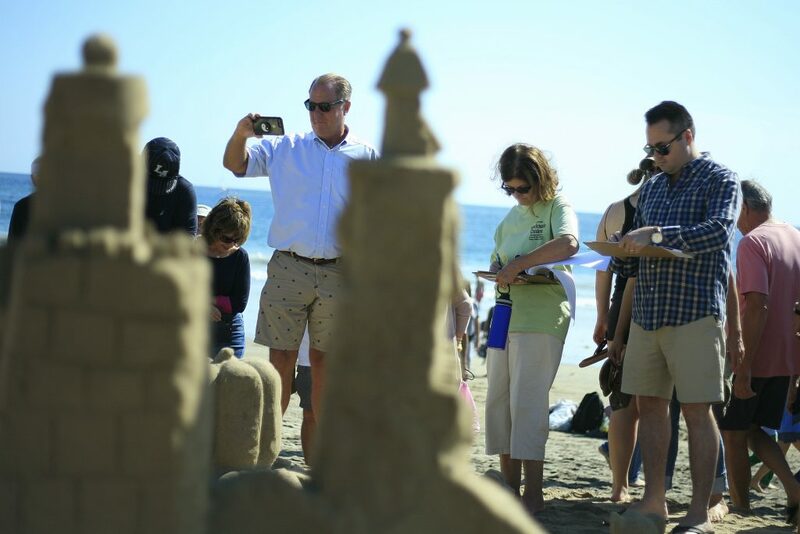 Judges of the 57th Annual Sandcastle Contest (left to right) NB Chamber of Commerce Commodore Club members David Beek and Dorothy Larson, and City Councilman Kevin Muldoon, take photos and evaluate one of the entries on Sunday. 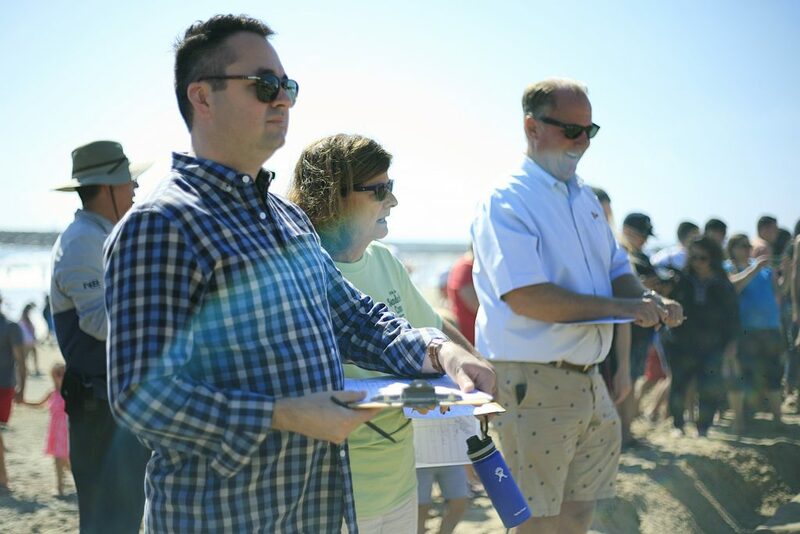 Judges of the 57th Annual Sandcastle Contest (left to right) City Councilman Kevin Muldoon, and NB Chamber of Commerce Commodore Club members Dorothy Larson and David Beek, check out one of the sandy sculpture entries on Sunday. 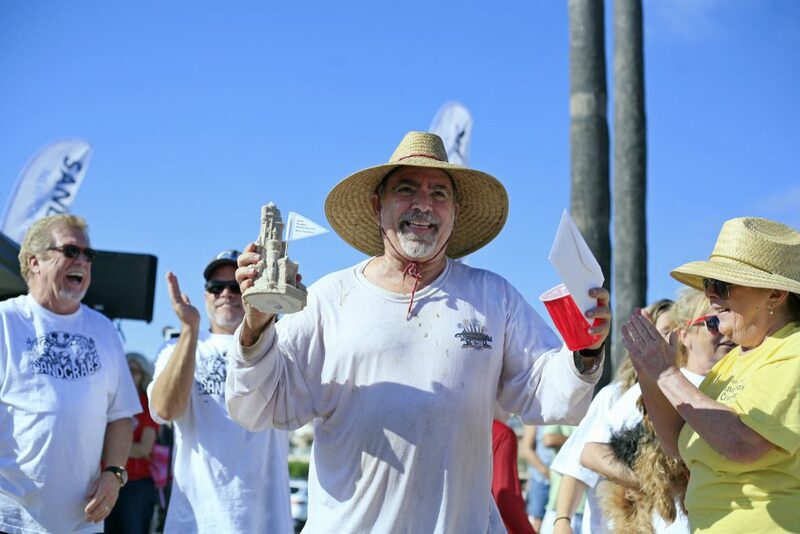 Veteran sand sculpting team, The Sandcrabs, celebrate their first place win for Most Unique Sandcastle at the event Sunday. 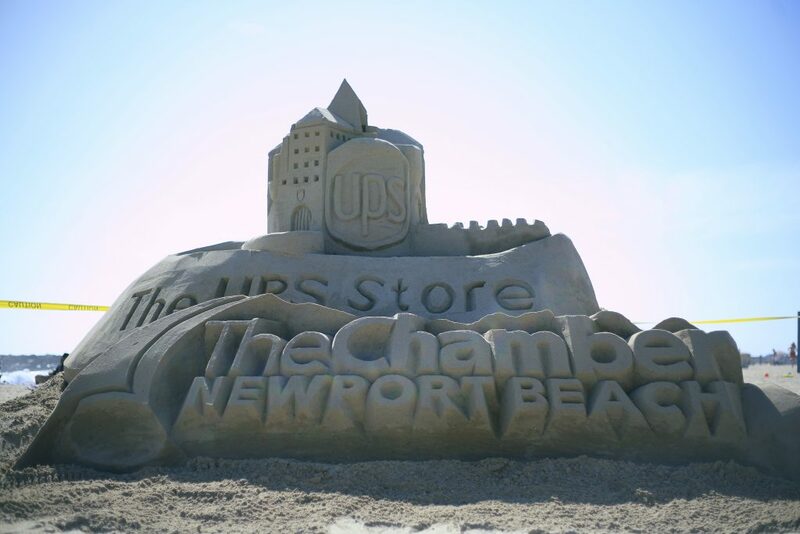 The sponsored UPS Store and Newport Beach Chamber of Commerce sand sculpture at the 57th Annual Sandcastle Contest on Sunday at Corona del Mar State Beach.